I want to start by saying I’ve been a fan of the YA paranormal genre for years. I love supernatural characters and magical settings. I’m always fascinated by how authors and screenwriters spin stories that leave you on the edge of your seat. Now, let me tell you a little about Martina McAtee. She is THE MASTER OF SNARK. 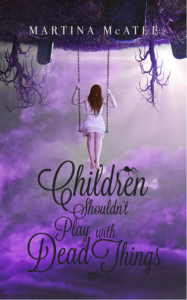 I purchased her novel Children Shouldn’t Play With Dead Things (a young adult paranormal novel) after seeing the cover on social media. I loved the cover and the title and decided it was worth giving the book a read. I am so glad I did. Instead of binge-watching TV shows when I wanted some entertainment away from writing, I found myself reading this book. I’m not sure if I’ve ever been so invested in someone else’s characters in my life. I found myself tearing up in one scene in particular, and I don’t even cry in movies. If you are new to the Dead Things Series, there are a few things you should know. Martina doesn’t write fluff. She writes snarky, action-packed books…and they are LONG! I’m talking 500 pages+. I was a little hesitant about this at first, but after finishing the book and heading right into the sequel, I was very thankful I had more to follow in the character’s lives. She writes in multiple POVs. This was confusing to me at first since the book had 4 POVs, but I grew to LOVE it after the first few chapters. It was a great way to get in the characters’ heads. It felt like I was watching a TV show, which was pretty awesome since it compared to one of my favorites in terms of sass and paranormal: The Vampire Diaries. 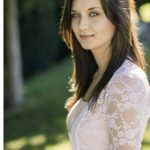 Martina has a Facebook fan page called the Deadlings, where you can read never-before-seen excerpts, choose your faction, participate in contests and more. As I got further into the book, I had to see if she had a street team. Turns out she does. If you want to join, you can do so here. 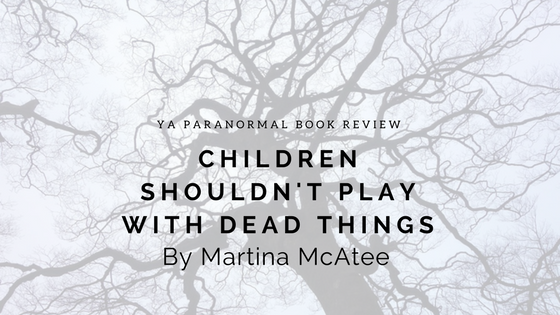 I have hundreds of books on my Kindle waiting to be read, but I couldn’t bring myself to read them after finishing Children Shouldn’t Play With Dead Things. A day or two after I finished, I picked up the sequel, Dark Dreams and Dead Things and finished it quickly. That book was just as faced-paced, full of action, and amazing! Soon after, I read Martina’s new release, Loving You With Teeth and Claws, and it didn’t disappoint! Now I’m reading Keeper of the Lost Souls by Kristy Centeno. Have any paranormal book recommendations? Tell me what I should read next in the comments below!